Terri Standish-Kuon ’88 (professional and technical communication) is a public affairs strategist, higher education advocate, nonprofit executive, entrepreneurship researcher and educator. 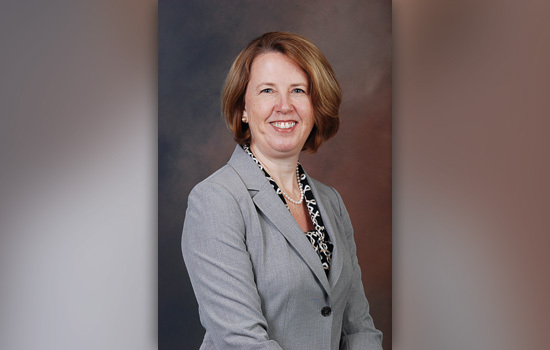 She serves as vice president, communications and administration, for the Albany, N.Y.-based Commission on Independent Colleges and Universities. She has a Ph.D. in management from Rensselaer Polytechnic Institute. Like a tune-up for your car, or an annual physical, it’s good to pause every so often for a check-up of your communication habits. Communication is all about exchanging information and building relationships. It’s so natural to us as humans, we often do not take time to think about how and why we communicate, and how we could do so in more effective ways. Whether you are an entrepreneur hunting for capital for a new venture, or a parent working on homework with a child, or a new employee sharing ideas with office colleagues, these six tips should help you communicate more effectively. As I set out to write these tips, I reached out to fellow communication program alumni for their input. I asked what they wanted to be reminded about, and what communication ills they hoped to avoid. You will see their advice sprinkled in below. I asked this community of the Department of Communication’s early alumni because listening matters. Ask yourself about your audience. What is their frame of reference? Age, gender and culture—among a host of other factors—influence how someone will understand and interpret what you are trying to communicate. Knowing whom you want to reach will help you decide what and how you need to say, write or do. 2. Know what you want to communicate. Be clear in your own mind. Think about what you want to share or convey so your thoughts are organized and coherent. If you do not understand your point of view, others will not either. 3. Decide how you want to communicate. Communication takes many forms: non-verbal expressions and body language, formal or informal writing, the spoken word, and even pictures, charts or other graphic depictions (think “USA Today Snapshots” and the burgeoning number of infographics). You may have heard Canadian scholar H. Marshall McLuhan’s admonition that “The medium is the message.” It is a helpful reminder that how you choose to deliver a message will affect how that message is understood. One of my favorite bits of advice came from a colleague who was a magazine editor. No child, he recounted, ever crawled up onto a lap and said, “Read me an article.” Instead, we all know that familiar refrain, “Tell me a story.” Made to Stick authors Chip and Dan Heath fill the 300+ pages of their 2008 bestseller with examples of the power of storytelling (together with simplicity, unexpectedness, concreteness, credibility and emotions) in making ideas compelling and memorable. 5. Read widely. Write well. Speak directly. In one-on-one conversations and while giving speeches, be aware of your body language and strive for meaningful eye contact. Remember the power of your voice; use your full range to match the situation. 6. Proofread. Prune. Ask for feedback.